GleanView combines CRM, Marketing Automation and Advanced Analytics into one integrated SaaS platform. "Everyone is on the same page 24/7/365 with where a potential customer is in our sales pipeline." You can get all the bells & whistles for considerable amount less than what you can with the big CRM companies. Plus, so much better customer service. Everyone can access a customer account anytime, anywhere with an internet connection. We know where the potential customer is within our sales pipeline. We now have a place where we can communicate with our Independent Sales Reps about potential customers. We can give them their leads, quotes, orders, shipping information. It really is keeping everyone on the same page with everything that has transpired regarding an existing customer & a potential one. Everything you get from a large CRM company, you can get with GleanView for a fraction of the cost. "Outstanding Service and Value - Complete Customer Relationship Solution"
We switched from a competing CRM to GleanView and ended up saving over $20K per year without losing any functionality. The service has been top notch and has went above and beyond to accommodate our needs. The team at GleanView has been able to really customize the integrations to match our sales and marketing process, and we now have a full solution that manages our customers and prospects from lead to repeat order. What's not to like? We are saving a ton of money and getting a better product and service that we had with our previous CRM. Glenview support an implementation is FANTASTIC! We needed to have a customer data platform that would function as the core of our lead to cash process. GleanView integrated with our other systems well and we were able to automate many of our manual processes. We have already saved over $20K per year just in CRM cost and our entire sales, marketing, and service team is using GleanView. I work for BYO Recreation, beta user of Gleanview......been using this new CRM technology for 2 years now. ..fortunate to have contributed to some of the improvements . I'm outspoken and (I'd like to think) meticulous about details; when I submit a request to Gleanview with a suggestion or request, Jennii is back within 24. "Excellent software for keeping all your projects organized and in one place"
I love that you have the option to customize your search fields to fit your specific needs. I also like the fact that you have all of your projects in one place. The fact that you have a quick search bar for looking up very specific things such as a project name or quote number is also. It will also give you a count of how many active projects you have according to your search criteria as well. I wish there was an option to save your search preferences so you didn't have to retype them every time log back in and or refresh the page. for example, anytime there is an update you have to refresh the page and it clears your search field out completely. If you are like me and search for numerous fields this can be quite annoying at times to have to retype every search item over again, especially if there are multiple updates in a row. If updates were able to come through at non-peak hours that would be more helpful I think. Definitely not a deal breaker, just a minor nuisance/first world problem. If you have a significant amount of clients or job opportunities that you would like to keep organized in specific categories all in one place this is the software for you. From the project management standpoint, this software has been vital in keeping my projects organized and up to date for not only myself but others as well that may need to see what step we are at for a certain project provided. As a project manager, this product has been an excellent source to help me stay organized by keeping all of my open active projects in one place in plain view so nothing falls by the wayside. "Great Account and Pipeline Management Tool"
Our sales team did not have a convenient way to view account level stats like total orders, last order date, and last contacted date. We could pull this from our ERP system, but it required a system admin to pull a custom report. By integrating our ERP system with GleanView, this information is at the fingertips of our sales and customer service team. We have many transactions daily and figuring out the best way to use GleanView to handle lots of small transactions has been a challenge. Very educated polite staff that embraced each challenge we faced. Our primary challenge was making critical customer data easily available to our sales team. Our ERP system housed much of the data but lacked the functionality to be able to efficiently distribute that information to our team. GleanView has made it easy for our team to look at all of our accounts and to determine the best next step for each one of them. "Unified Customer View and Custom Integrations "
Everyone in the company now has a unified view of the customer, from their first visit to our website, to their most recent phone or email interaction with one of our team members. Having this common, customer data platform has allowed us to make data-driven decisions and become more efficient at serving our customers. All of our key customer communication channels are integrated, including our quoting system, phone system, financial system, and website. These integrations are invaluable for having everything in one place. 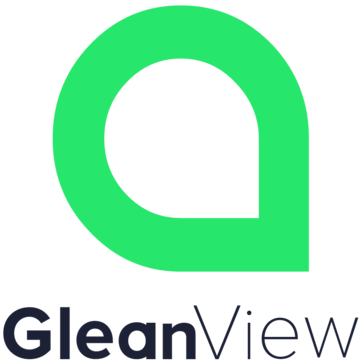 We have been using GleanView since their beta product. They are constantly adding features and functionality, which is nice, but I would like more communication on when new features are added and how to use them. Sometimes a change catches you by surprise. GleanView is used across our entire company, from sales to marketing to customer service. We have used other CRMs and marketing automation systems in the past and GleanView has been the best by far because of its ease of use and depth of features. We needed one platform that could enable our sales, marketing, and customer service teams. The unified customer view and automation tools have been invaluable in helping us serve our customers better. "GleanView has helped us manage our current clients and acquire new ones! " We are selling professional services and needed a way to market to our current clients and keep them informed along with going after new business and GleanView has really helped us with that. SUPER easy for us to use the CRM and Marketing Automation features. The drag and drop email builder is really great and easy to use! Since it's All-In-One, it's easy to me as a President to use GleanView's analytics to track what my sales and marketing teams are doing. It does not integrate with our ATS system but the team is looking to build out that integration for us. The data upload can be somewhat time-consuming but the team at GleanView did everything for us. I would highly recommend using GleanView as an all-in-one solution for sales and marketing. Easy to implement in the cloud and the team is very helpful! We are a smaller team with limited IT resources that needed a solution that would put everything in one place and be easy to integrate. We have seen the benefits of having Marketing and sales working together and having the same view of the customer. Also, the IT team at GleanView has helped us get up and running really fast! "Small Marketing Team getting BIG results with GleanView"
We are a three person marketing team that is tasked with generating and passing hundreds of qualified leads to our sales team each month. We are able to accomplish this with a relatively small budget with the help of GleanView. It is very easy for us to build, deploy, and test different landing pages and email marketing campaigns without needing coding knowledge. We can use GleanView's analytics to track the return on ad spend for both e-commerce orders and offline orders. The predictive lead scoring functionality helps us determine our optimal customer profile attributes. There is even a social publishing feature allows us to schedule future posts across multiple platforms like LinkedIn, Facebook, and Twitter. There are not a lot of built in templates right now for emails, landing pages, and campaigns -- although I am told they are in the process of building this library up. The landing page builder is very powerful, but can be overwhelming at first with all of the features. Having the marketing automation and CRM and Analytics as part of the same platform makes a huge difference. No need to learn three different interfaces. Everything just works together like it should. Because of the small size of our team, we needed a solution that was easy to implement, easy to use, and sophisticated enough to automate our digital marketing tasks. GleanView meets all of those needs for us and allows us to keep the high-quality inbound lead stream flowing to our sales team. ""Brain" of our Sales Organization"
GleanView is the "brain" of our sales organization. We have integrated our web site, our phone system, our email system, and our on-premise quoting system into GleanView. Leads flow automatically from our website directly into GleanView and get assigned to one of our sales reps according to custom rules we have set up. Emails and phone calls get automatically logged under the history of each customer. Our sales reps love the fact that manual entry of information is minimized and I love the reporting that we can do on sales activity like phone calls, quotes, emails, pipeline at the individual sales rep level. I can look at any opportunity in a rep's pipeline and know exactly where it stands. We have complete accountability for every lead, which helps us ensure none fall through the cracks. The unlimited user pricing (instead of the per user pricing charged by other CRMs) allows us to let our entire company use GleanView to manage the customer relationship. 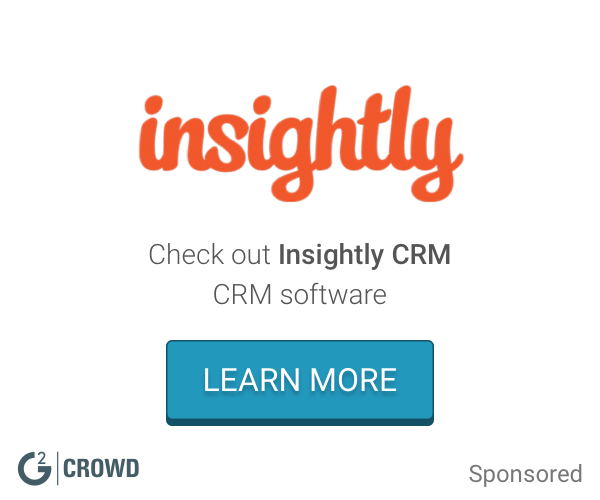 This many users would cost us well over $1200 per month just for the CRM from other vendors! Needs more ability to customize some of the advanced reporting tools. Efficiently handling the volume of leads that our business generates has always been a challenge. By using the predictive lead scoring in GleanView, our reps only get sales ready leads. Also, by having every customer interaction automatically logged, our reps have more time to focus on real sales activities and not manual data entry. I am usually juggling dozens of leads and opportunities simultaneously. I would never be able to do this without the organization that GleanView provides. I can see the complete history of any of my contacts and GleanView helps me track the next step for each one so that I can keep moving things through the pipeline. I also like that emails and phone calls are automatically logged so that I don't need to waste time with data entry. There is not really much to dislike in my opinion. Easy to use from sales user standpoint. The interface is intuitive and I didn't need much training to be up and running. Our entire team loves the product. The main problem GleanView solves for me is helping me stay organized with all of my sales activity. This has helped me stay focused on my pipeline and close more sales. "GleanView contact tracking and notifications allow for organized followups on all my Customers. " First of all, new web leads are automatically entered into the CRM and assigned to me. I get emailed and notified within GleanView that I have a new lead. Once the new lead is assigned to me, I can see the complete web browsing history of that contact, which gives me context around creating a needs discussion with them. Thereafter, whenever one of my contacts gets back on our website, I am notified in real time and that browsing history is also tracked. Additionally, GleanView has an auto-profiling function that automatically finds the social media profiles of the contact and the company associated with the contact, along with other information like company website, revenue, # employees. This “Gleaned Data” is invaluable to me in the selling process. Notes field could use some improvement such as details and functionality. Best CRM if I have ever used. Easy to navigate and keeps me organized without making me do a bunch of manual data entry. GleanView helps me manage my pipeline and the tracking/auto-profiling functionality give me instant insight into my customer’s needs. "GleanView makes sales & marketing easy!" We can always accomplish whatever we need to do in GleanView. They are always helpful and make everything easy for me. I really like the fact that it's all in one for sales and marketing and I can quickly see how the sales and marketing teams are doing. Honestly, everything is great so far! They are a smaller company and that could be a concern for some people but it actually helps us because we are a small company as well. Take advantage of the training videos and material online. They have a great team and they are willing to help. Our company had no analytics and our data was a mess prior to starting with GleanView. We really just had a website and didn't track anything from lead to customer. So many benefits but learning what's working and what's not working quickly with GleanView. It also helps our sales and marketing teams work together. "Simple! Our Sales and Marketing teams can finally work together! " GleanView transitioned us from paper everything into the cloud and it was so easy! I love how simple everything is! They answer every question I have and respond immediately. The CRM is simple and everything is tracked from phone calls, emails along with every action for each account. You can easily leave notes and find everything in real time. Everything really works well so far and we really haven't had any trouble! If I had to choose something it would be the social posting could be a little easier to use. Simple and cost effective for small and medium sized businesses. Putting all our sales and marketing data in the cloud. Everything rolls up under the account and is easy to track. All our customers' data is easily accessed by anyone related to that account from Customer success, sales rep, marketing to management. Our sales and marketing teams now have an easy-to-use CRM solution that helps us generate, track, and manage our leads and sales pipeline more effectively. It helps us take the repetitive, manual work out of the sales process and ensures we stay organized and ahead of our competition. GleanView is always adding more features, which is great. We'd like to understand the new features better as they are launched. We also would like more customized and automated report options for sales and marketing, which we know GleanView is working on. Simple software that is very user friendly. Also the support staff is very helpful, everytime we have had an issue or request they have come up with a solution! We're able to manage our sales pipeline with better reporting, which helps us close deals faster. We're also able to market to our customers with advanced segmentation, which helps us get the right message to our customers at the right time. "Work in progress but making strides"
The folks at GleanView are very responsive to my needs and assist as quickly as they can to make requested adjustments to the existing platform. The reporting functionality needs to be refined. GleanView has allowed us to reduce our quoting time drastically! Some confusion with handling repeat customers. Users filling out our forms looking for more playground equipment may be lumped into existing accounts. GleanView has been able to take our specific business in mind and provide the appropriate level of CRM functionality so that our salespeople do not get bogged down in details. Besides reducing our call-to-quote time, tracking and visibility of sales team by superiors is more transparent. We can better identify communication needs, and the reporting is fast and simple. "Gleanview does the job and More!" Integrates the sales life cycle with order processing. Very intuitive and easy to use. Training new employees with this CRM is a breeze as this easier to use then the competition. Streamlines the sale process and keeps sales rep on track to follow up. Everything is under one roof - leads, opps, quotes, projects and all linked together. "Still learning but hopeful for the future. " I enjoy the fact that GV has a great support staff. FJ is amazing at helping us out and very responsive. It was very complex to learn. Need more training videos. * We monitor all GleanView reviews to prevent fraudulent reviews and keep review quality high. We do not post reviews by company employees or direct competitors. Validated reviews require the user to submit a screenshot of the product containing their user ID, in order to verify a user is an actual user of the product. Hi there! Are you looking to implement a solution like GleanView?